TEMP/FUKT/CO2 GIVARE There are 11 products. 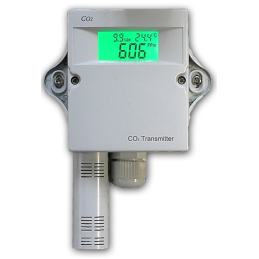 Humidity and temperature transmitter wall mount Combined humidity and temperature transmitter with LCD display suitable for advanced ventilation and air conditioning systems such as clean rooms, greenhouses, warehouses, shops, commercial buildings, etc. The sensor has 2 outputs with 0-10V or 4-20mA (selectable by jumpers) and RS485 Modbus. 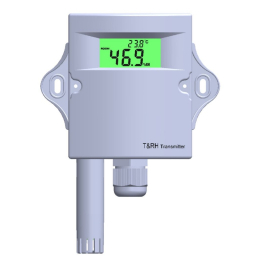 Humidity and temperature transmitter with display Wall mount combined humidity and temperature transmitter with LCD display suitable for advanced applikations such as clean rooms, greenhouses, warehouses, shops, commercial buildings, etc. 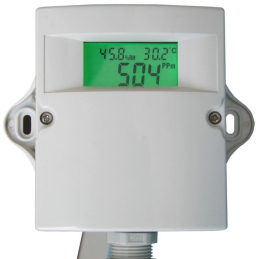 The sensor has 2 outputs with 0-10V or 4-20mA (selectable by jumpers) and RS485 Modbus. 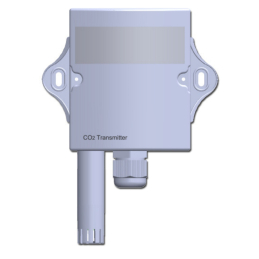 Humidity and temperature transmitter Duct mount combined humidity and temperature transmitter with LCD display suitable for advanced ventilation and air conditioning systems such as clean rooms, greenhouses, warehouses, shops, commercial buildings, etc. 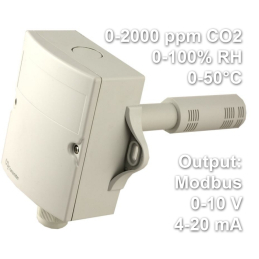 The sensor has 2 outputs with 0-10V or 4-20mA (selectable by jumpers) and RS485 Modbus. 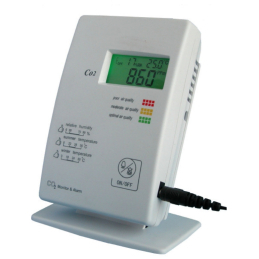 Humidity and temperature transmitter with display Combined humidity and temperature transmitter with LCD display suitable for advanced ventilation and air conditioning systems such as clean rooms, greenhouses, warehouses, shops, commercial buildings, etc. 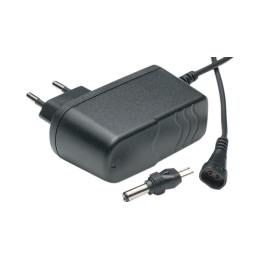 The sensor has 2 outputs with 0-10V or 4-20mA (selectable by jumpers) and RS485 Modbus.